MILAN (AP) — Tensions surrounding the spending plans of Italy’s new populist government are weighing on the country’s stocks and bonds. Some investors appear concerned Italy will break eurozone rules to satisfy election promises. Italy’s benchmark stock index was down 2 percent Thursday and the yield on the Italian government bond yield rose, a sign of investor caution. The premier’s office confirmed a cabinet meeting later Thursday to discuss the new deficit targets. 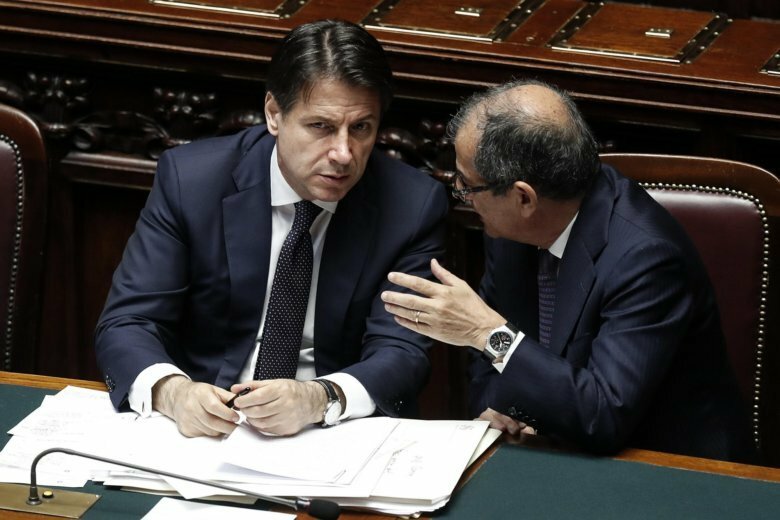 But in the last minute-haggling and speculation, deputy premier Luigi Di Maio of the 5-Star Movement was forced to say that there was no discussion of removing Economy Minister Giovanni Tria. Tria, who is unaffiliated politically, has been pressing to keep the budget deficit-to-GDP target below 2 percent in the face of demands to spend more and expand the deficit.